CINCINNATI – They call John Harrell the "Chicken Man" for good reason. Since 1996, Harrell has shouted bad poultry puns while selling his chicken-shaped hats, which he makes out of felt and adorns with googly eyes and feathers. John Harrell selling chicken hats at Oktoberfest Zinzinnati. The New Mexico resident estimates he has sold more than 20,000 chicken hats at Oktoberfest Zinzinnati. He plans to sell 1,200 hats at this year's festival, which will run Friday through Sunday on Second and Third streets between Elm and Walnut streets. “I have sold as high as 2,500 in the past,” Harrell said. Though he has never changed the hat’s design, Harrell did start making them in multiple colors after selling only white hats for the first seven years. 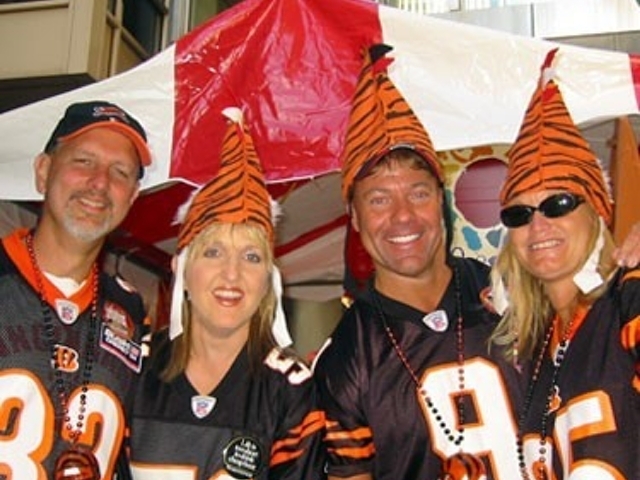 The most popular chicken hat Harrell ever sold at Oktoberfest Zinzinnati was a Bengals-striped black-and-orange felt pattern about a decade ago. Selling chicken hats is not a full-time career for the Chicken Man. This year he will sell his hats at only four Oktoberfests: one in Addison, Texas; another in Colorado; Oktoberfest Zinzinnati; and the Minster Oktoberfest in Minster, Ohio. “It’s not like it’s a business that makes me much money, if at all,” said Harrell, who is a full-time investor and stock adviser. 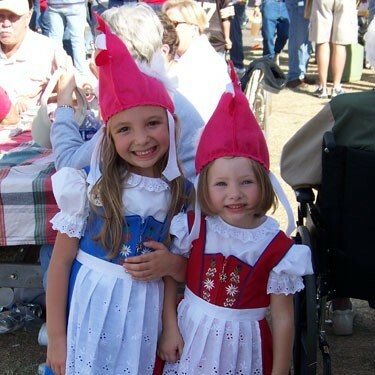 Harrell described going to Oktoberfests and selling his hats as a fun hobby that continues in the spirit of the early 1990s Addison Oktoberfest trip he took with friends. That experience sparked the hat idea. 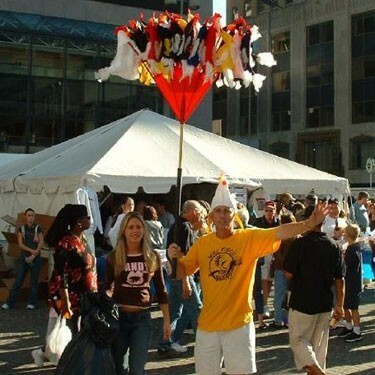 The Cincinnati chicken hat tradition almost never happened, though, he said: He initially could not persuade Oktoberfest Zinzinnati's organizer, the Cincinnati USA Regional Chamber, to let him sell his hats on Fifth Street, where the festival was previously located. Undeterred, Harrell said he instead got a city of Cincinnati street vendor permit and sold his hats on Race Street. He even remembered a nearby Walgreens store letting him borrow a folding table, on which he placed his chicken hats. 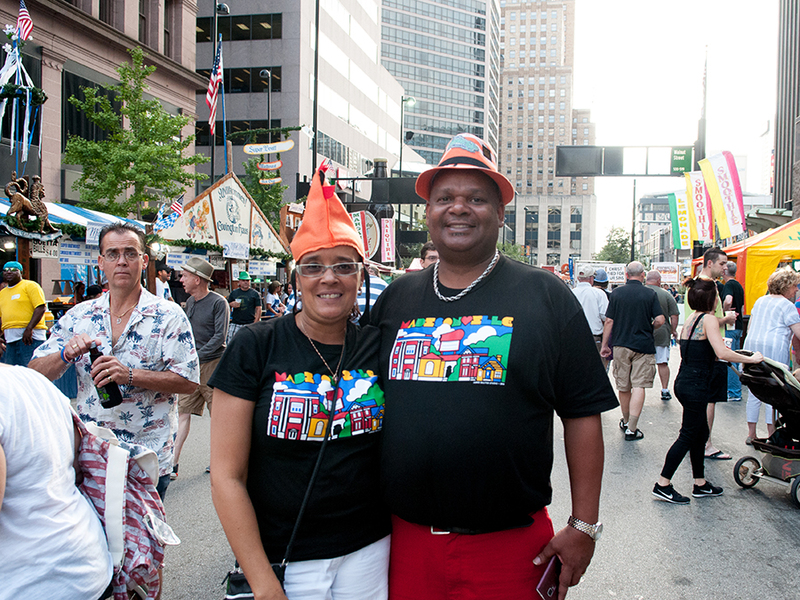 Sharon and John Stargel at Oktoberfest Zinzinnati 2015. Cynthia Oxley, director of sponsorship at the Cincinnati USA Regional Chamber, said she started working at the chamber three years after Harrell started selling his hats but is well aware of their popularity. Members of FC Cincinnati and friends pose for a photo on stage after the 2016 Chicken Dance. Oxley said Harrell takes his job as Chicken Man -- and the related puns -- seriously. "He ends each of his emails to the chamber with 'Have a PECKtacular day,'" she said.